The goal of biomedical treatment is to optimize health in order to minimize inflammation, prevent disruptive behaviors, enable normal development, and allow the traditional therapies to take hold. This is the story of one of our parents who became a believer after getting rid of the offending nutritional fare. This past March, after our follow-up appointment for biomedical treatment, we started our son on a high dose probiotic and Diflucan. At that visit, we received a long list of items for our son not to eat. My husband and I decided to dive head first into this and get rid of his beloved bananas and Lorna Doones (cookies). 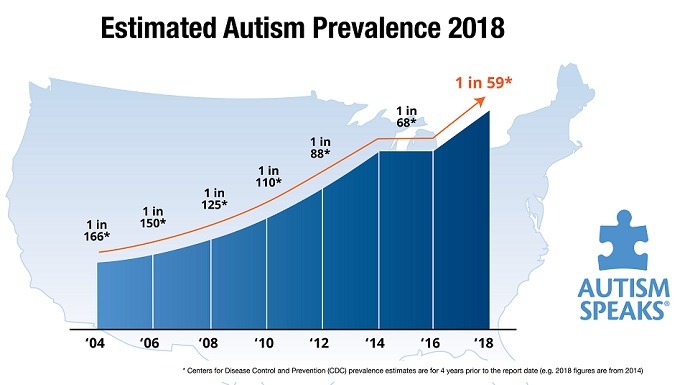 I was skeptical about the food changes because any time you hear the word autism, GF /CF diets are soon to follow. I am not sure if the food, the probiotic or the Diflucan changed our son but something did and he has not had any more respiratory issues. I am not a Dr. but as we noticed our son changing with all of the new protocols, he became a healthy 3 and a half year old little boy. No steroids for 7 weeks and counting. Back to my son’s food issues. He never got back to eating fish and chicken, as he did in his infancy. He eats a lot of pouches from Earth’s Best or Plum Organics. He drinks a smoothie in the morning but, since we had to change to rice milk, we provide Silk protein drink and soy yogurt. I went to my local health food stores (the big box ones are so expensive) and found Annie’s Gluten Free Bunnies, Crunch-master cinnamon sugar crackers, Enjoy Life sugar cookies and Home Free little sugar cookies. We had to bribe him with toys to get him to try new foods, but it worked. Now, we have a few items to take when we go out, so he can feel like a normal kid. Quick tips for giant food changes. Talk to your local health food stores and see if they can order selected products for in-store purchase. Often, they will offer a discount if you order a case or more. Check out Amazonmom.com (it’s free) where you could get discounts on baby and kids items, make sure to sign up for their ‘subscriptions and save’ programs. The pouches from Plum Organics are $1.79 at Babies R Us and they are shipped to me for $12.46 per dozen, a savings of $9.02. The Enjoy Life cookies list for $4.69 a box, but through Amazon they are $2.84. Not everything is cheaper at Amazon, but with the expense of a GF/CF/egg/nut etc. diet, every little bit helps. This entry was posted on Friday, May 17th, 2013 at 8:33 pm	and is filed under >ALL<, Alternative and Complementary Medicine for ASD, Autism Therapies, Diets, Earliest Red Flags, Patient experiences, Special Guests, Speech and Language. You can follow any responses to this entry through the RSS 2.0 feed. You can leave a response, or trackback from your own site. Why did you start diflucan? Also, why stop bananas? The diflucan is started because of clinical or laboratory signs of gut yeast. On the second question, the child probably demonstrated IgG antibodies against bananas. Ok, but IgG antibodies values are not reliable in determining a food sensitivity…correct ? IgG food antibodies measured at Great Plains Lab are consistently reliable in my practice. When children avoid the foods that test high in that panel, the children improve – in their fog, their S&L and behaviors. I do not own stock and do not get special remuneration by using that lab, it just works. BTW, when you make antibodies against an antigen, it’s called allergy in common parlance. Everything is very open with a vrry clear clarification of the issues.